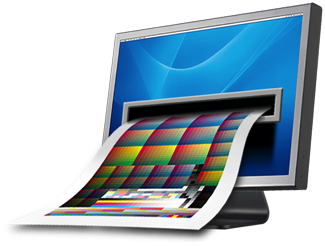 Curve4 is comprised of several separate tools which together, form a powerful system to help you Calibrate your printing system, Verify its accuracy and prepare your measurements for ICC Profiling or use as color references. 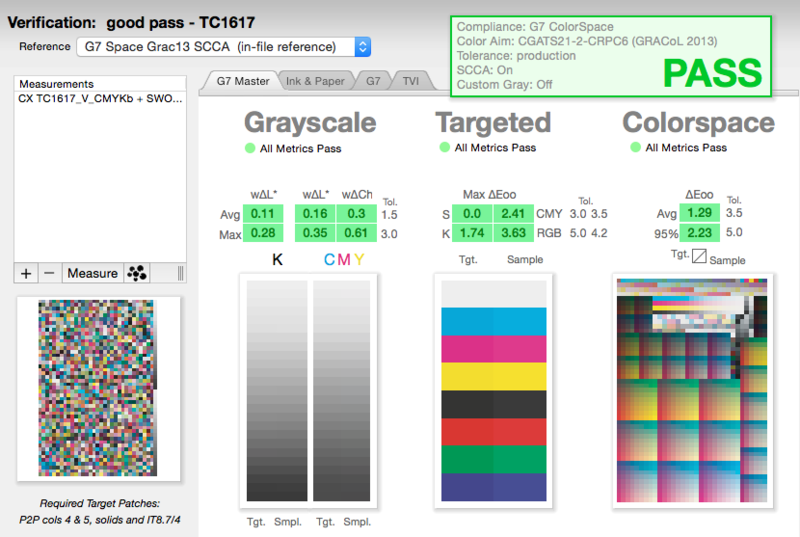 And if you want SCCA-based (Substrate-Corrected Colorimetric Aims) calculations, Verify can easily handle it, along with subtle G7 differences such as Native Gray balance. 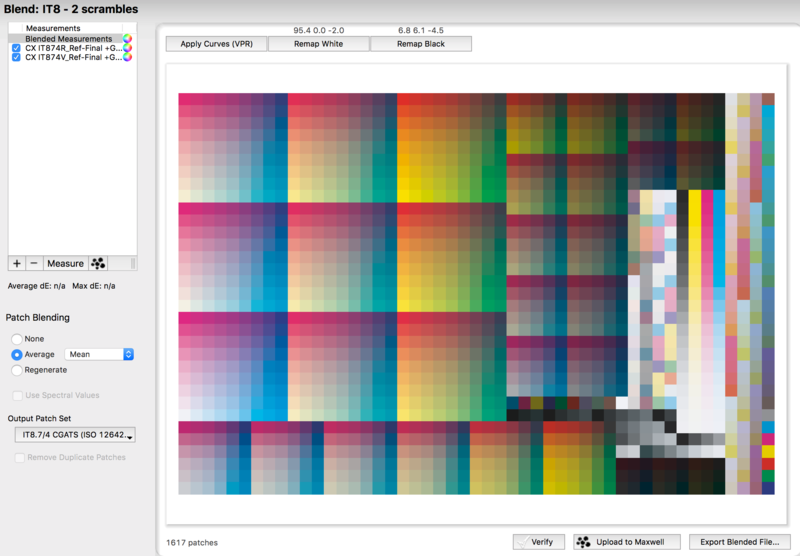 The BLEND tool is a group of functions to combine, massage and process color measurements so you can build the best ICC profiles possible (among other things). Powerful measurement tools are integrated into Curve4 and available within each tool. Save hours of time and thousands of dollars by skipping the verification / profiling run when performing G7 calibration. The OneRun target, in combination with Curve4's VPR (Virtual Press Run) module, makes it possible to calibrate a press to G7, using multiple papers, and make profiles for the press - all in one run. 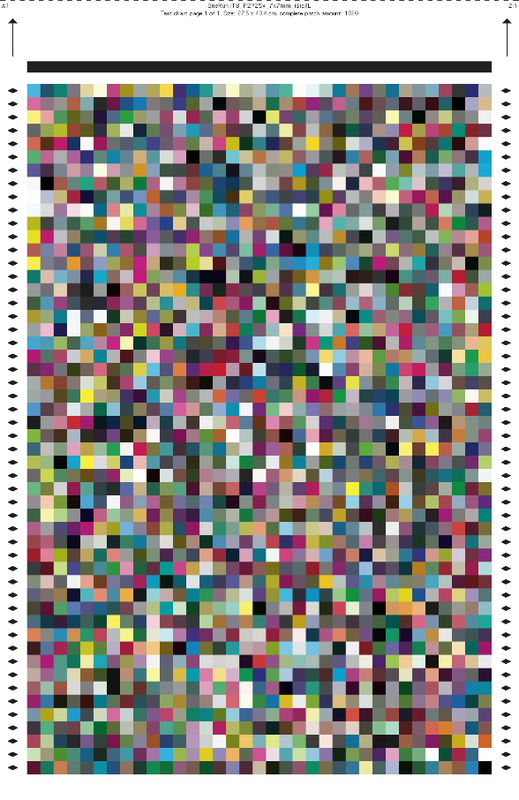 The beauty here is that you only have to print one target, on one press run to do all this. 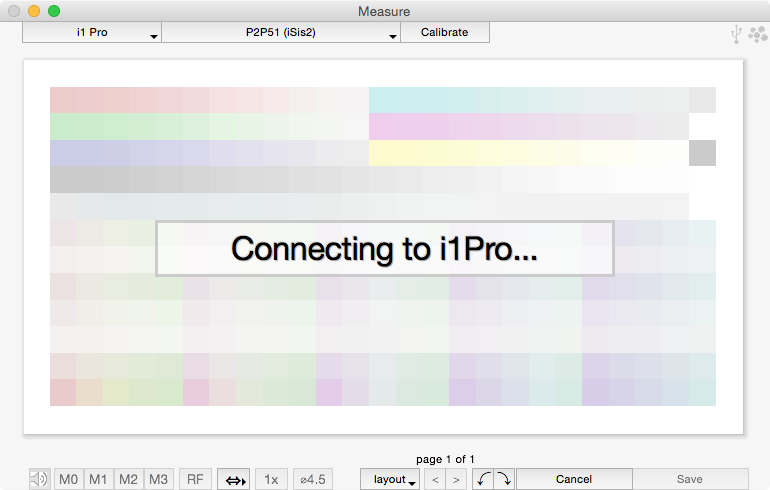 Press calibration and profiling can't get much easier than this! 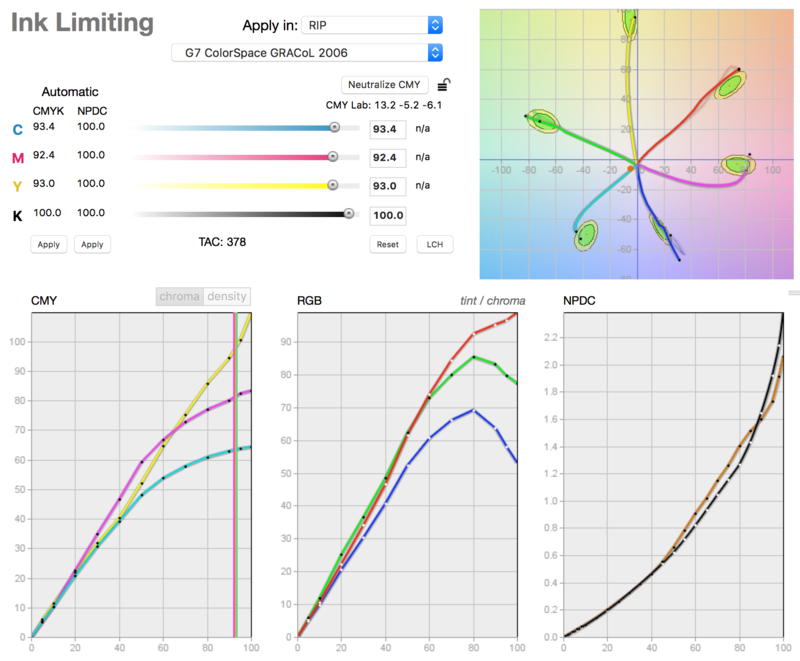 Curve4 now includes direct Maxwell support so existing Maxwell customers can easily access their measurements from the leading cloud-based color monitoring system. 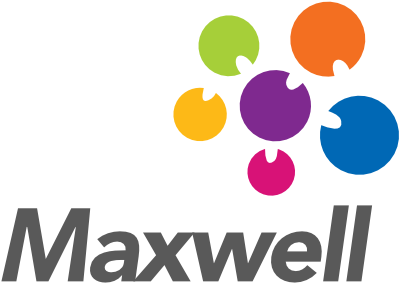 Just click the Maxwell logo and you can choose any measurement from Maxwell. One click, and the measurement is automatically downloaded into your Curve4 document and added to the Measurements list in VERIFY, CALIBRATE and BLEND tools.